It’s a word that the Yankees and former Yankees often use when describing their employment in the organization. A little over a year ago I had the privilege of interviewing former Yankee Ron Blomberg. 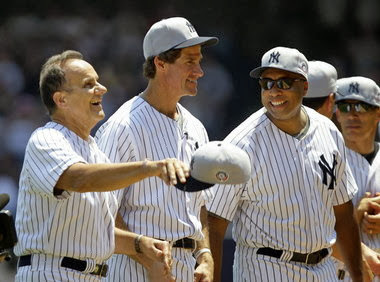 It was in regards to baseball’s first designated hitter being an honorary chairman of the Damon Runyon 5K run/walk for Cancer Research at Yankee stadium. Throughout my discussion with him, Blomberg constantly referred to the Yankees as his family. He spoke of George as a second father, and teammates like Roy White and Mickey Rivers as brothers. 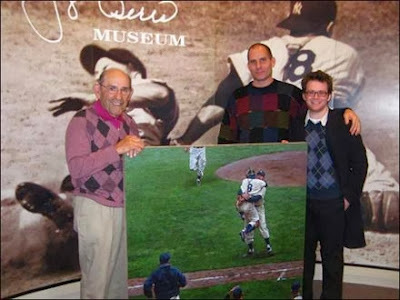 That feeling continues with Yankees generations separated from Blomberg’s version of the team. 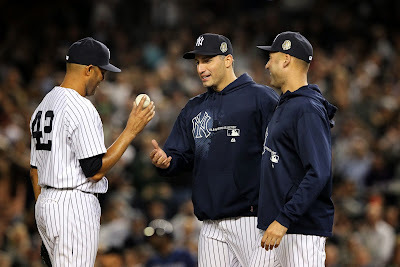 In the final home appearance by Mariano Rivera a few nights ago, never was that more apparent than when Andy Pettitte and Derek Jeter strode to the mound to pull their long-time teammate and friend. During post-game interviews, all three alluded to each other as family. It’s also a word that aptly describes Bleeding Yankee Blue. We are a family of die-hard New York Yankee fans sharing our passion via social media. We celebrate every victory together and we share shoulders when lamenting defeats. We’ll defend our team to death against outside critics while at the same time recognizing it’s our God given right to point out what our Bombers could have done better each and every game. My first experience writing for my friend Casey was a piece about a spring training trip to Florida with my son Matt. 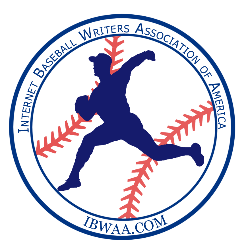 We at bleedingyankeeblue.com write about it and live it. We also try as best we can to share it with you our readers. For just the second time in 18 seasons we won’t be cheering on our team in October. It’s a tough pill for any of us to swallow given the bar that has been set by our “Core Four”, but it happens. So, now we re-group and move forward. Sure we’ll talk about how our pitching staff needs a complete overhaul, and we’ll offer up how different a game will “feel” when we enter the ninth inning with a one or two run lead. 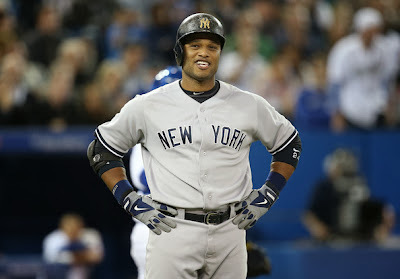 We’ll write about the continued aging of the players that remain, and we’ll complain about the outlandish money Robinson Cano is asking our Yankees to pony up if they want to keep him. 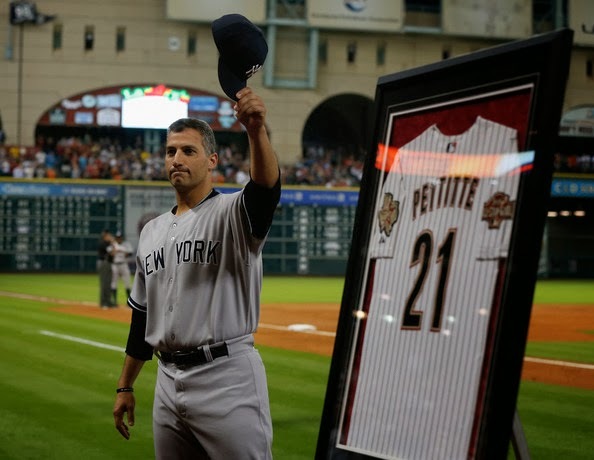 There will certainly be tribute pieces written for Rivera and Pettitte, and articles dissecting the failures of 2013. 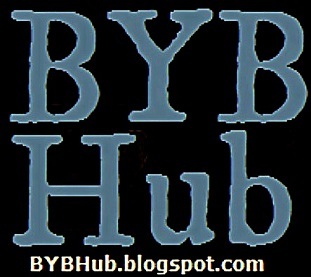 That’s the beauty of BYB for a Yankee fan; you’ll get every Yankee topic covered from every possible angle, and we’ll welcome your opinions. After all, that’s what family is all about. 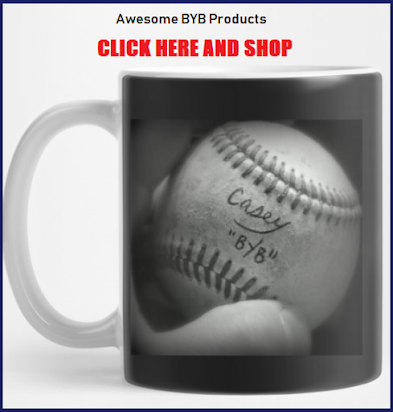 The Bleeding Yankee Blue store is opened! CLICK HERE TO START SHOPPING! Also, follow me on Twitter @BleednYankeeBlu and join the group Bleeding Yankee Blue (Official) on Facebook, just type it in. 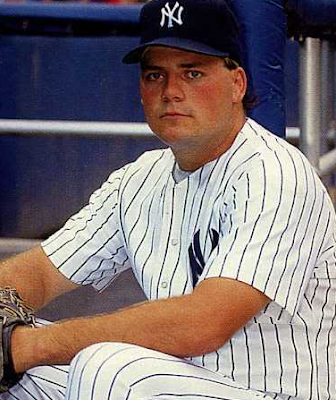 REMEMBERING WHEN BOB WICKMAN WAS A "THING"
During the early 1990’s, the Yankees struggled mightily. Because of George Steinbrenner’s suspension for baseball, the Yankees high-spending days went on pause. As such, they were not competitive, except for the fact that they had some high-value rookies coming up through their farm system. Since they were not after high-priced stars, they were able to hold on to their rookies. By 1992, the Baby Bombers – as they were affectionately called – started coming up through the ranks. It was this batch of rookies that would later include names like Andy Pettitte, Mariano Rivera, Derek Jeter, and JorgePosada. 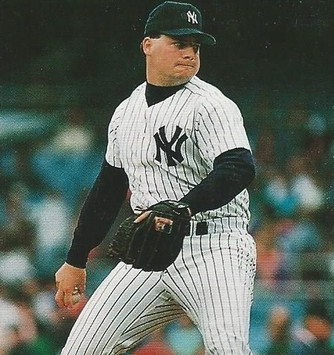 Nevertheless, in 1992, one of their rookies began paying immediate dividends – pitcher Bob Wickman. Bob Wickman, who suffered an accident as a child and lost part of his index finger on what would be his pitching hand, found success in pitching in part due to his injury. It turned out that the short finger allowed his to generate strong sinking action on his pitches. 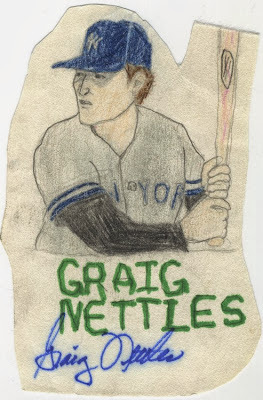 He spent two years in the minors before he was traded to the Yankees in exchange for second baseman SteveSax. He spent the majority of 1992 playing for the Columbus Clippers, compiling a 12-5 record with a 2.92 ERA before being called up to the majors. 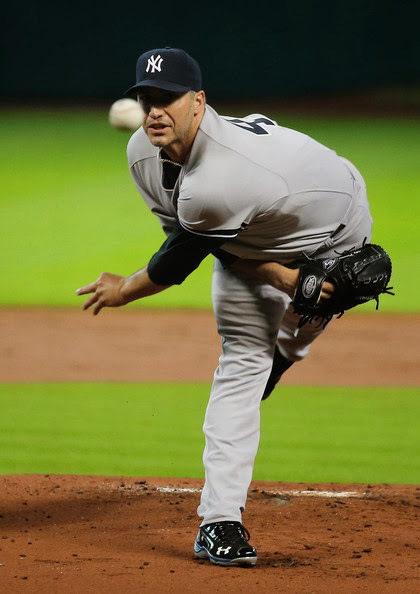 From his major league debut on August 24 through the end of the season, he had a 6-1 record over eight starts, and finished the season with three consecutive wins. That would matter next year, when he started the season winning his first 8 decisions. The only Yankee ever to have a better start to a pitching career than Wickman, with his 14-1 record, was Whitey Ford – who started with a 16-1 record. 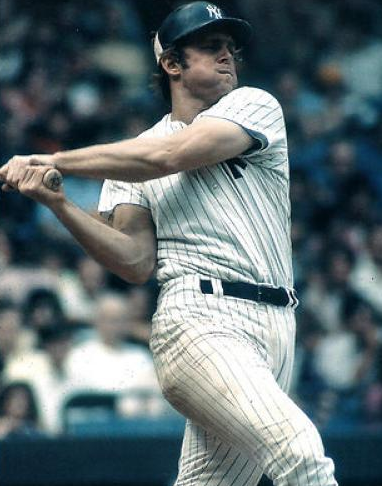 He also held an 11-game win streak that was the best at the time since Ron Guidry’s 12 consecutive wins back in 1985. In 1992, those stats were important. Wins were hard to come by, and a Yankees pitcher that could do that was a much-needed sign of hope. Wickman finished the season with a 14-4 win-loss record and a 4.63 ERA that included 19 starts and 22 relief appearances. From mid-July of that year on, he worked primarily out of the bullpen as a middle reliever and a backup closer to Steve Farr and Steve Howe. 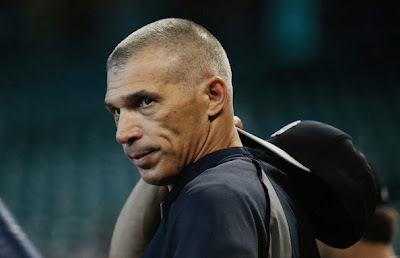 He continued in this role through the middle of 1996, when the Yankees traded him to the Milwaukee Brewers as part of a package the brought lefty specialist and Braves-killer Graeme Lloyd to the Yankees. 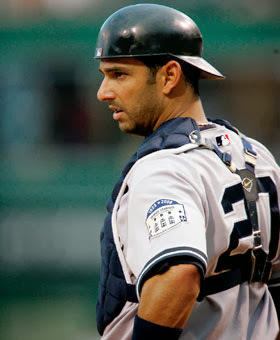 Having been on the active roster in 1996, the Yankees awarded him a World Series ring. He went on to pitch 11 more seasons for the Brewers, Indians, Braves, and Diamondbacks. He became a full-time closer in 1998 for the Brewers, compiling 267 career saves, including a league-leading 45 in 2005. He only appeared in five post-season games, for the 1995 Yankees and the 2001 Indians, never advancing past the first round but also never charged with a run. He appeared in two All-Star games – in 2000 and 2005. 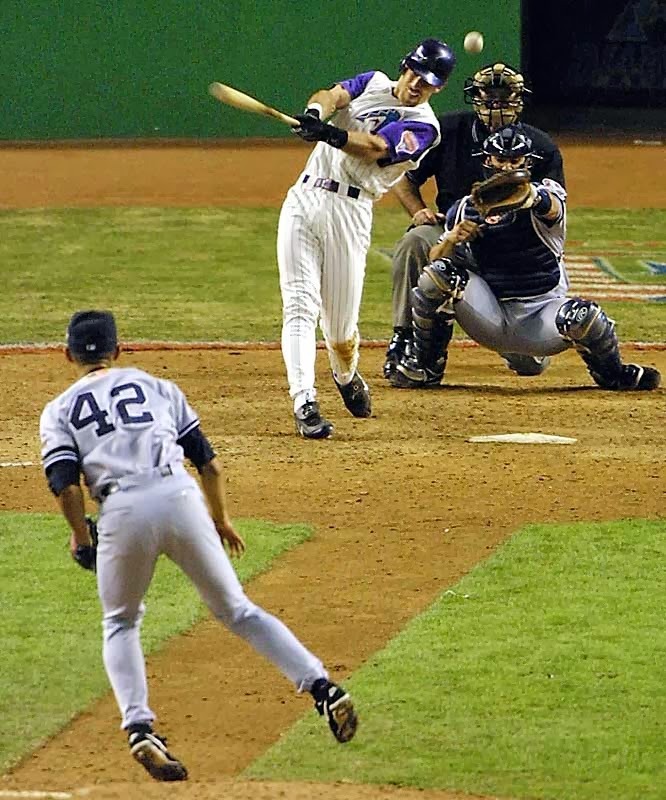 He finished out his career at the end of the 2007 season with the Arizona Diamondbacks. After his major league career, Bob Wickman went on to do some local high school baseball coaching for the River Valley High School baseball team in Madison, Wisconsin. 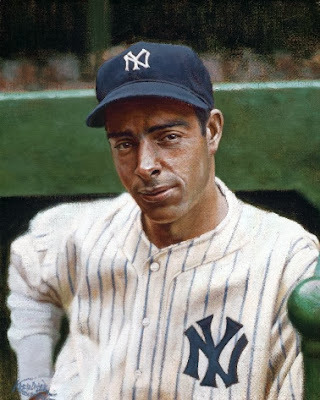 While he was with the Yankees, he was a stalwart in the bullpen at a time when we sorely needed pitching. He was part of the construction crew that included Mike Stanley, Jim Abbott, Pat Kelly, and Scott Kamieniecki, which helped build the dynasty of the 1990’s. Though he never played in a World Series with us, his contributions are still greatly appreciated. 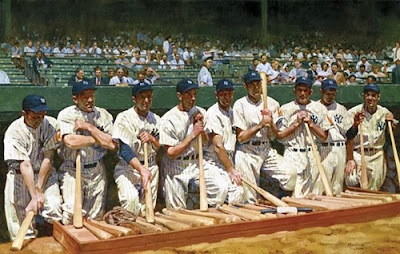 "The Four Yankees are what’s important," says Graig Kreindler, "Mickey Mantle, Joe DiMaggio, Lou Gehrig, and Babe Ruth." If you are even a casual fan of baseball, you have seen Kreindler’s artwork. If you are a Yankee fan, then you already love it. His work is all over the Internet. He has created portraits of icons. Famous moments. He recreates history and presents it in loving detail. 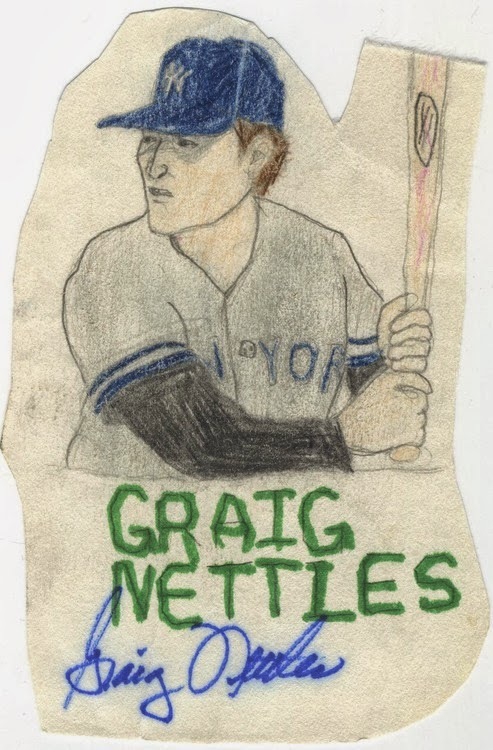 And yes, he is named for Graig Nettles. Kreindler was available one beautiful day to discuss his artwork. 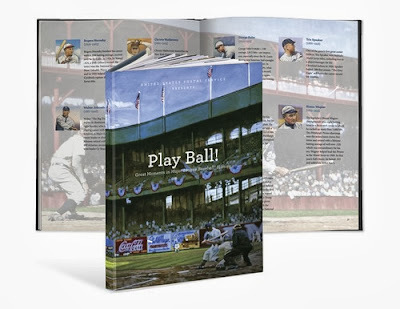 What followed was a pleasant afternoon chatting about baseball, thumbing through photographs and books. And of course, admiring his paintings. But how did he get started on the road he is on now? "My art teacher gave me an assignment to paint a relationship. 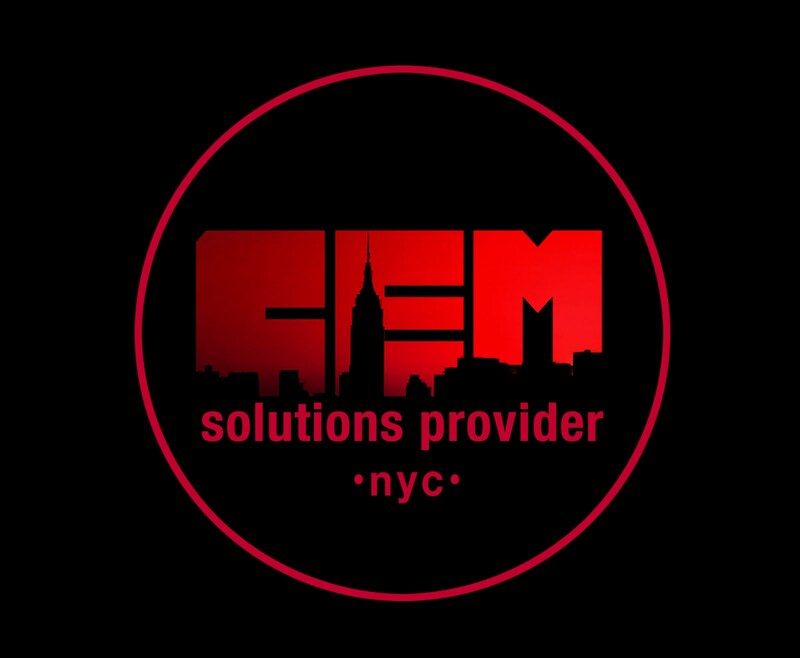 Something really general. I thought of a batter and a pitcher. I thought of pitching to Mickey Mantle, and that this will be a painting for my Dad." At this point in his life, Kreindler wasn’t thinking about sports related artwork as a career. Instead, he was focused on science fiction and fantasy. But as he delved into the research for his assignment, things began to change. 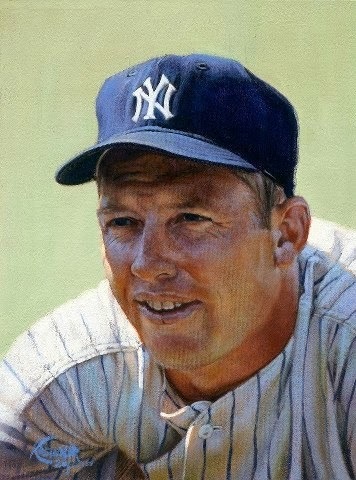 "I wanted Mickey Mantle to look like Mickey Mantle. He would have to be in the proper setting, the proper stadium. So I started to research all that, and that was how I fell in love with baseball all over again." 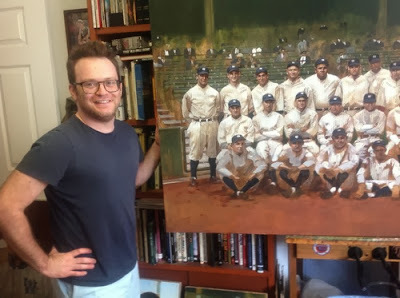 Graig has been painting baseball’s history professionally for the last seven years, with a spotlight on famous Yankees. His research is extensive. He owns a detailed personal library and spends days and weeks tracking down original photographs to reference. It is a pain-staking process, taking up a lot of time, not to mention money for licensing fees. But Kreindler didn’t mind. 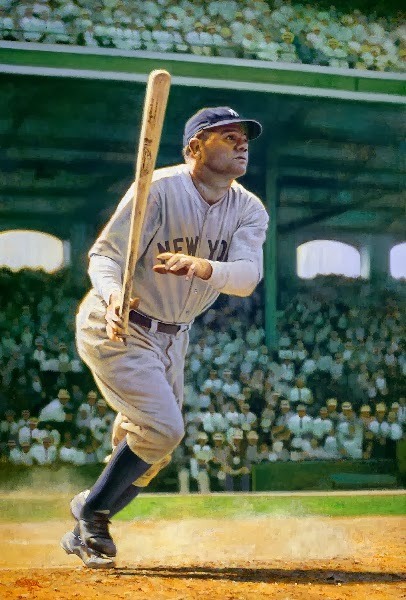 "Going through this stuff, going through these old newspapers and reading these books, and learning about baseball, I realized this is my job! That’s amazing!" His attention to detail has paid off. He has illustrated a book for the USPS celebrating baseball stamps; has contributed a painting to Bob Feller’s museum; and painted the cover of the Phil Pepe’s book “Magic Moments Yankees,” with a foreword by none other than Don Larsen. These are just a few examples. He has also gotten to meet iconic Yankees such as Don Mattingly. His paintings hang in museums, illustrate books, and have been lauded by the MLB FanCave, among many others. Kreindler is steadily building a significant and loyal following. His portfolio is expansive. 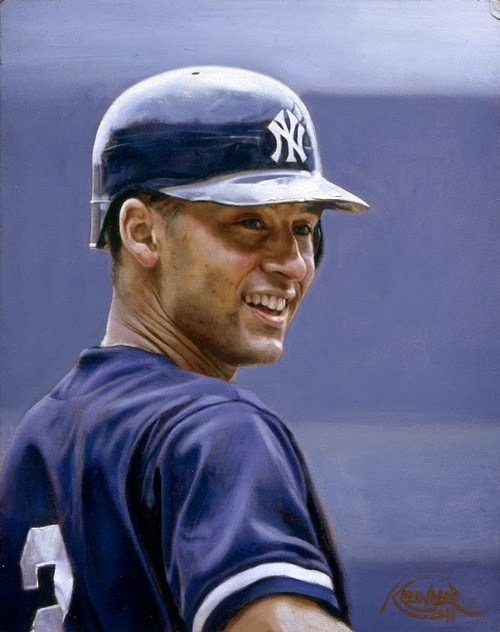 His photo-realistic style brings Yankee greats to life in intricate detail. One can almost see them breathe. They seem to be almost moving. And Kreindler doesn’t limit himself to Classic Yankees. He has many renditions of modern players as well. 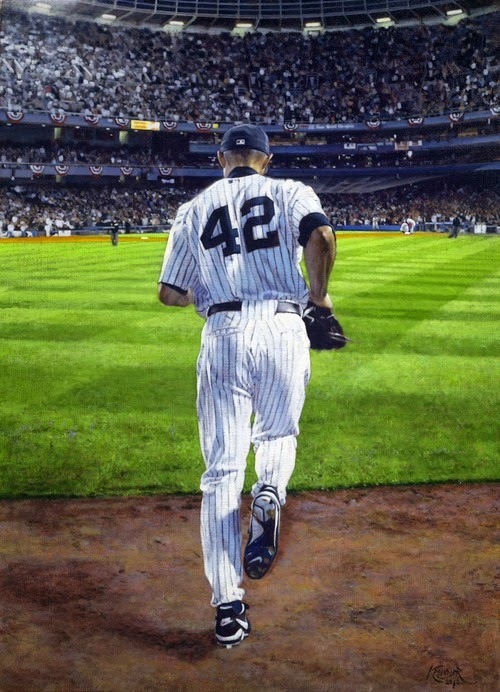 And this painting everyone has seen, especially lately, Mariano Rivera. Although the reverence is clearly evident, the question needed to be asked of him, what is his favorite team? 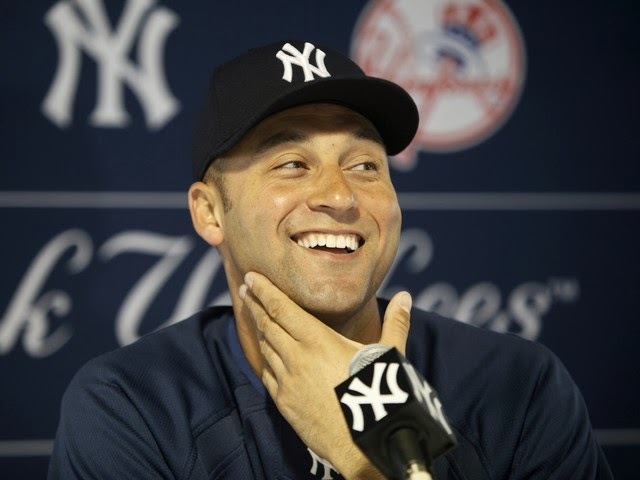 "Though I love all baseball, I love watching all games, the Yankees are my team. It’s not just me saying that, it’s the truth. I’m a Yankee fan, I was born a Yankee fan. You don’t lose that." No. You don’t lose that. Pinstripe Pride is not a passing fad. It is an institution. Nothing can change that. The New York Yankees are the best team in baseball history. And if you ever doubt that, take a moment to enjoy the artwork of Graig Kreindler. I believe in pushing yourself. I believe that if you don't try... someone else will take your place. That leaves you wondering why you didn't go for it in the first place. It's a struggle... and fighting to be the best, or making it to the next level is probably the hardest thing anyone can ever do. 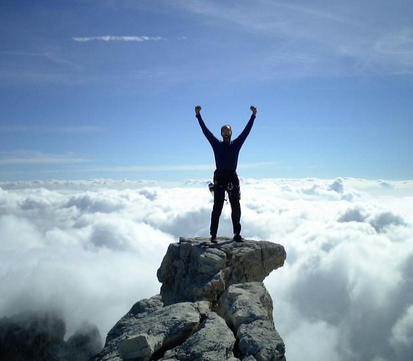 The victory is sweet though, and once you achieve it, you don't ever want to give that up...ever! There are several athletes in my life that have always inspired me. 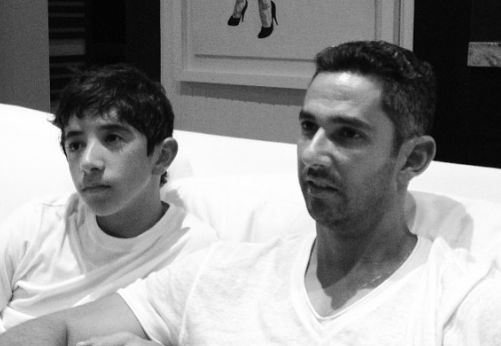 I fondly speak of Jorge Posada. A guy with the guts to accomplish anything he wanted to on the field, but was told throughout his young career that he just didn't have the talent, and so he decided that "Can't" wasn't in his vocabulary. 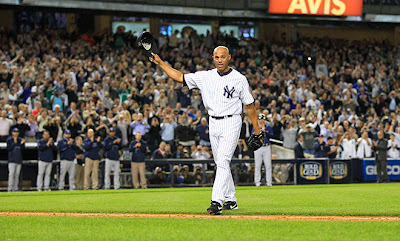 After his career was over, he had 5 championships and is forever loved by Yankee fans everywhere. Enter 2 people that I want to talk about this morning. Enjoy this, while your having your coffee. Be inspired. One is a guy named Steve Delabar, a pitcher for the Toronto Blue Jays. The other is a runner and athlete named Kimberly Roots. 2 people, 2 totally separate stories... but both truly inspiring because they never gave up. 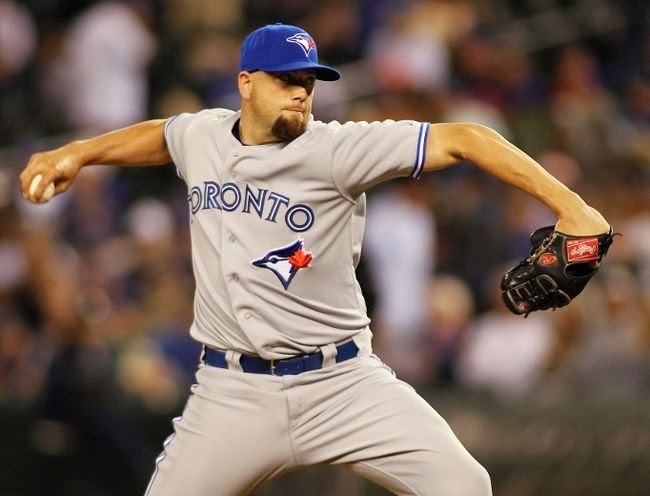 Steve Delabar wanted to be a major league pitcher and tried hard until one day, his arm literally popped. His story is complete below in a Real Sports story I watched. Anyway, once the arm popped, at that point he knew he pushed himself too much and was hurt, possibly for good. He went back to his home state of Kentucky. He became a substitute teacher and helped coach high school baseball. During his coaching, he started to realize that through a program created by former Texas Rangers coach Tom House, he was building arms strength. One day he tested himself... and suddenly something happened... he was inspired again. He believed he could do it again...and so he did. Steve Delabar came all the way back and pitches for the Toronto Blue Jays. He was scouted when the Jays got wind of his comeback, and he went up the ranks quickly this time, because now, he had the strength, the stuff and the will... he COULD do it. The other story is about a woman named Kimberly Roots... a runner, an athlete and a friend with more will and desire to climb any mountain that gets in her way. She's determined... she's a believer. My close friends and I know just how determined she is, but I guess one day she even surprised herself. 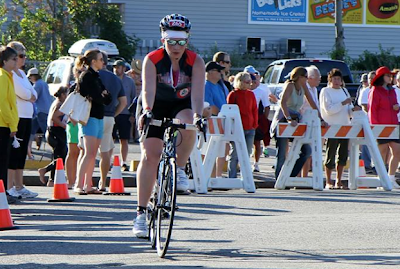 Kim Roots recently competed in her first half-Ironman distance marathon. 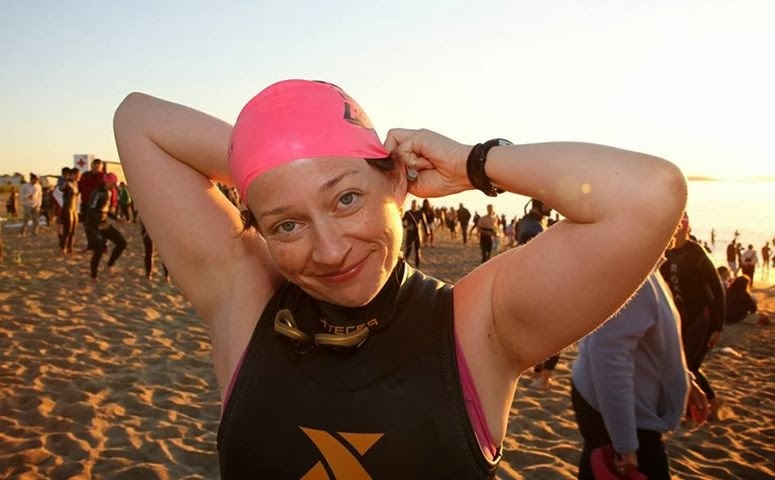 She wrote this about the achievement: " I did something that a few years ago seemed impossible: I swam 1.2 miles, biked 56 miles and ran 13.1 miles to complete my first half-Ironman distance triathlon." Some may think this is small potatoes... You know what? You try it. This is something Kimberly Roots was unsure she would be able to do... but one thing crept in... she believed that with support, training and drive... she could and she would. Guess what? She did. After swimming over 1 mile, biking 56 miles and running over 13... victory. No one can take that away from her... no one. So what's the lesson today? You want to accomplish something? Go get it. You believe that you can climb the mountain of life? You climb it. No one will do it for you. It's a life lesson... push yourself to the next level if you believe... and once you get there... don't stop believing. WHAT A WAY TO GO OUT! If your a fan of Andy Pettitte and have followed the guy throughout his career... this game was expected. Whenever Andy's back was against the wall, whenever he was in a place where he needed to come up big, he did. Tonight, a complete game victory almost seems obvious... yet, it's one of the most special wins of his career. You gotta love this guy walking into the sunset like this. 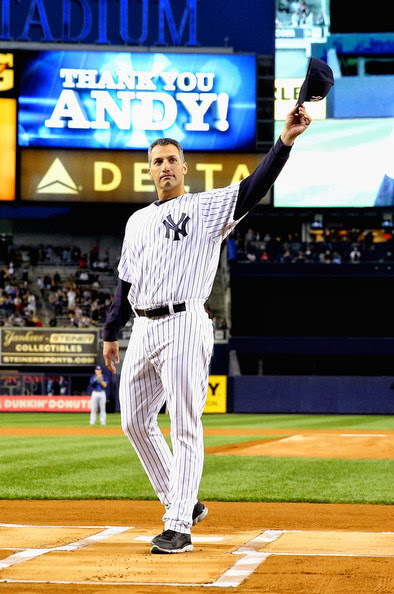 Andy Pettitte IS the Yankees. Mariano Rivera IS the Yankees... it's been real and I will never forget all they've done for us. It's a special time, despite not making the playoffs, it's special. It's funny... the irony is maybe we need the playoff-less October to just sit in reflect on how great these guys actually were... no... that's silly talk. On to the game. The Yankees won tonight 2-1. Andy pitched a complete game. 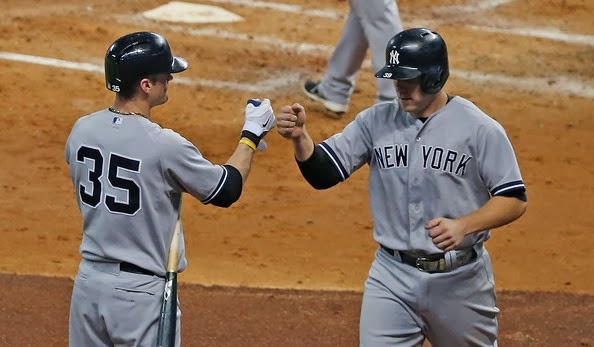 The hitting went like this... with the Yankees down 1 nothing, they came up in the 6th and made things happen for Andy tonight. 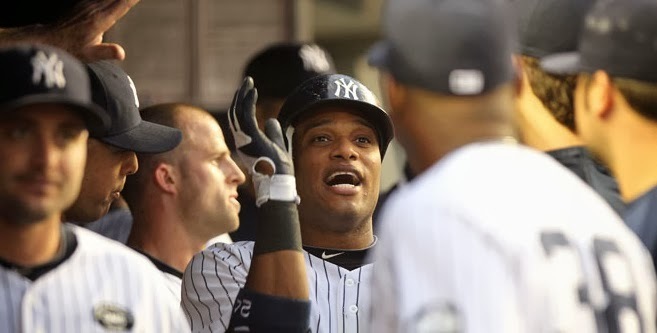 Robinson Cano singled in Chris Stewart. Shortly after that Eduardo Nunez scored on a throwing error from catcher Matt Pagnozzi. In the end, that's all they would need. No relief for Andy and no problems... he now will stay in Houston and just go home after his final game... the guy did good and I could not be happier. Good luck Andy... we love you pal! YOU DON'T KNOW BAD YANKEE TEAMS PAL! 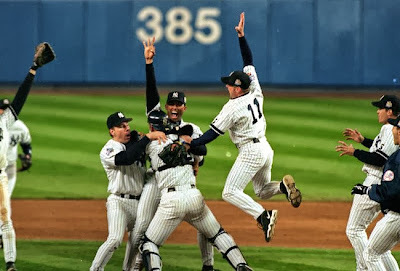 Fact: the Yankees have been good for the last 20 years. That has spoiled a whole generation of fans. They don’t know anything else. While this run has been amazing, it really has done Yankee fans a dis-service. He became a baseball fan in the mid-90s. 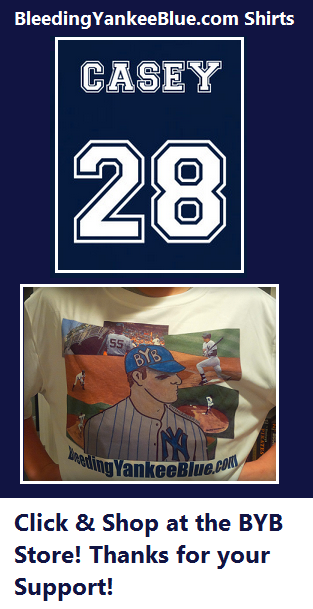 His heroes are Bernie, Jeter, Jorge, Mo, and Andy. He doesn’t know anything else.. Five championships in 14 years…I get it, it's over. His heroes are gone and the farm is barren. I only see dark days ahead for my Yankees...my opinion of course. This is good for my buddy. Maybe he can appreciate what he had. I’ve always appreciated what’s been done over the last 20 years. I grew up in the 80's. I’ve seen bad teams. Anyone remember Ron Kittle and Alvaro Espinoza? I also feel bad for long suffering Mets fans. Every time I say that people get on my case, but it's true, I do. I remember the dark days. But back to my friend. He had to realize this day would come. How could he think it would last forever? People get old. Players come and go. Empires rise and fall: Rome, Sparta, Ottoman. The Steinbrenner Empire had to end at some point too. 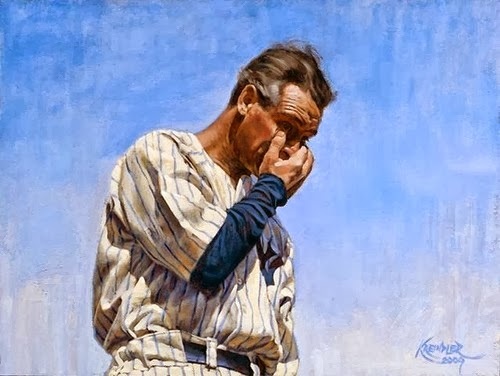 Plus, Tom Hanks was right – There is no crying in baseball, even though Casey wrote there is (read HERE.) There is no crying... none, zip! It's just a game! Having said that, the only time I ever cried over baseball was Game 7 of the 2001 World Series. As a New Yorker, that was a rough few months. I’ll leave you with this; 2013 was not a good year for our Yankees. While my buddy is crying over his heroes hanging up their cleats, I’ll be cheering my childhood hero as he leads the other blue bleeding team from the opposite coast to the World Series... go Donnie go! The Yankees are knocked out of the playoffs and it almost seems ridiculous to be playing anymore at this point. Now, I know what you're thinking... at least play to win and take 3rd place ahead of the Baltimore Orioles... I get that. But I didn't really watch last night. 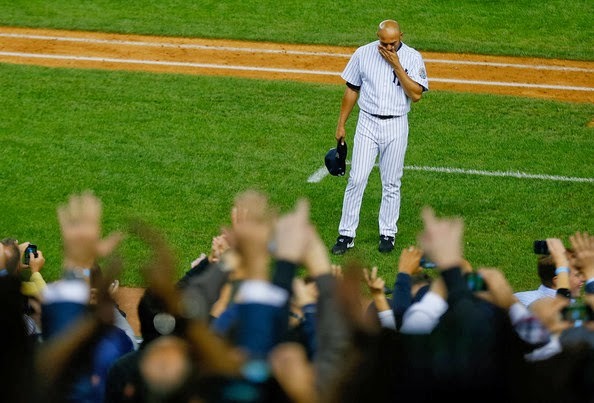 With that farewell to Mariano the other night... it cemented the end for me. I was satisfied. I was happy. It was bittersweet... Last night was just gravy. It was evident Joe Girardi was just trying to get through the season as well, starting Adam Warren. He did well for 5 innings and gave up 2 hits. He struck out 4. He was followed by David Phelps, Joba Chamberlain, Preston Claiborne and David Robertson. DRob got the save. 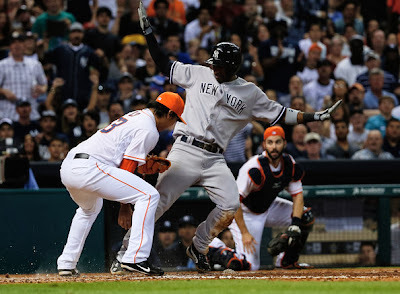 The hitting went like this... in the 4th, Mark Reynolds singled in Robinson Cano. Immediately after, David Adams doubled and knocked in Alfonso Soriano and Reynolds. There are your 3. There was one point where we were up 3-0 and Girardi opted to pull Phelps for Joba. On the first pitch Joba gave up 2 runs, credited to Phelps. 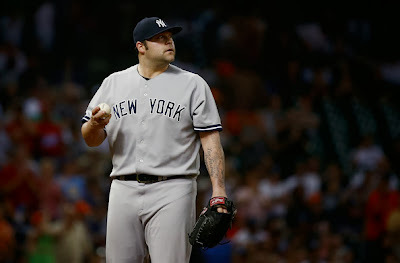 I knew at that point that Joba's days in pinstripes were over. Look, I love the big lug, but relievers come in to stop the hitting, not help it. Joba is a liability at this point. Sure, we didn't lose, but with a Yankee team that is literally crawling to the finish.... we just need stability... something the Yankee fans have been bitching about all year. Here's the full 6 minutes of history at Yankee stadium last night. Watch it, share it, enjoy it. What an honor to watch this guy play! Well done fans... well done. We love you Mo... thanks! Seriously! I want a huge swig of whatever brew he drank that made him think that $305 million over 10 years was realistic. 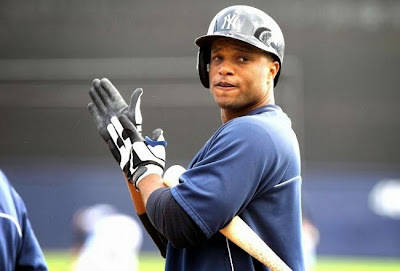 I love Robinson Cano. You probably won't find a bigger Robbie fan than me. That being said, this is absolutely ludicrous! Buster Olney, of ESPN reported (HERE) that a "source" claims that Robbie asked for this blockbuster contract. Now, understand that if it is one thing I hate, it is reporters using a "source." That means very little to me, and honestly, just makes it seems like you are attempting to "create" news. A "source" can be anyone from a hot dog vendor, to my chihuahua. Really, using a "source" is a way to not take responsibility if a certain piece of news ends up being false. Granted, sometimes the "source" pans out, and there is really something there. It just grinds my gears when journalist won't take responsibility. If these reports turn out to be true, and Robbie, and his people have really asked for such an insane contract, it will be a sad way to go for him. The Yankees just aren't going to dish out that kind of money, and for such a long period of time. When I wrote about getting the deal done (HERE) I mentioned that Randy Levine, the Yankees President, wouldn't throw money at Robbie, or anyone. And I have to admit that I agree. Firstly, Robbie is 31 yrs old now. Which means that at the end of a 10 yr contract, he will be 41. How likely is it that he will remain healthy, and productive for the duration of that time? He is in his prime now, but most baseball players peek in their mid 30's. They become more prone to injuries, and their stats start to take a dip. Essentially, if a contract like this is signed, they will be paying him to ride pine for the last 2 to 3 years of the contract. It's a waste of money, and space on the roster. Secondly, $305 million is an insane amount of money. If we have learned anything from the Alex Rodriguez contract, it should be that no one, super star or otherwise, should be showered with that much cash. It puts a hold on the purse strings, and limits the amount of moves the team can make. In a bind, they will have to go with cheaper talent, because a huge chunk of their budget is already elsewhere. We will continue seeing the bargain basement shopping we saw this season. Bottom line here is that the Yankees do not need Robbie badly enough to throw this kind of contract at him. It's just not something that the new financially conscience front office can justify. 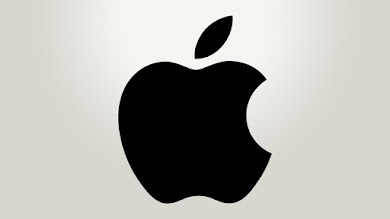 Perhaps 5 yrs for $144 million, or even 6yrs for $160 million. But there is no way to justify another ARod sized contract. If these reports are true, I have to say that I am greatly disappointed in Robbie, and his agents. They have to know that these sort of contracts are terrible for the sport, and asking for it makes you look greedy, and undesirable. Don't be that guy, Robbie. 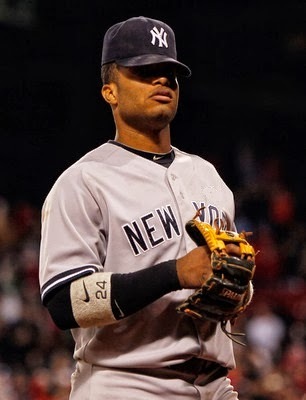 We'd love you back in pinstripes, but not if you are going to be THAT guy. I couldn't control myself tonight. I'm a big sap anyway, but seeing Mariano and the entire stadium just waiting for his entry into the game... waiting on his every pitch and every wave to the crowd and how the world embraces this guy, it was just touching to me. 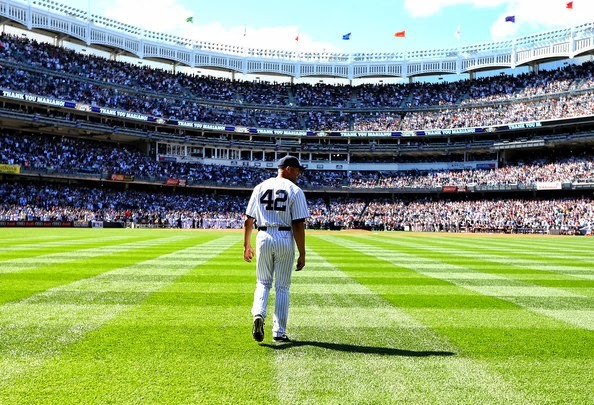 It must be amazing knowing you've been such a strong, yet gentle man, as well as classy all your career, and then, when it's over... you get it back from the baseball world ten times over. What a wonderful sight tonight. The game tonight didn't matter. It didn't matter to me at least. 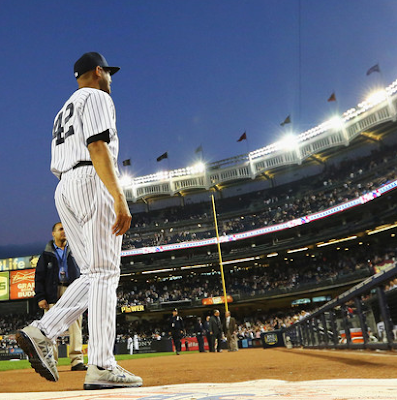 Sure, you want to win every game, but it was about Mariano tonight. Think about what we've witnessed over the past 19 years. Remember the moments... we've had some great times with the Core Four. Mo was a huge part of it. He was a huge part of the Yankees and for baseball. What an honor and privilege it was to witness him for so long. Think about tonight and how classy the Tampa Bay Rays were allowing all of this to unfold for us fans. You tip your cap...they got it. It's baseball, the love of your players, the giving back for all they've done for us fans before. Tonight was big, very big. Mo, it's a been a pleasure to watch you. You've done it with incredible class, integrity, blood, sweat and tonight... literally tears. You became a champion for us. You inspire the weak and encourage our children. We hope you enjoyed your farewell tour, because we enjoyed being with you this entire season, not to mention your entire career. And now we turn the page. It won't be easy, but we get it. So let's let our hero go ladies and gentlemen and wish him well... because he deserves his time now. He's worked hard for us... but now it's time for him to rest. No more Saves Mo... no more saves... Thank you. It was sort of surreal. Metallica playing live at Yankee stadium. 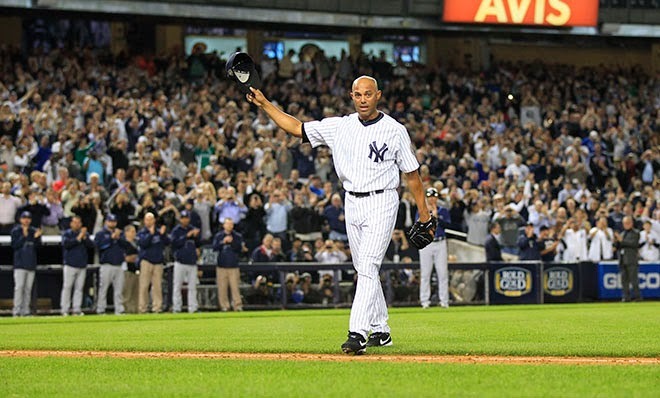 Mariano Rivera walking to the infield to be surrounded by family, friends, and teammates, old and new. A ceremony to honor a man that has given everything to the team. 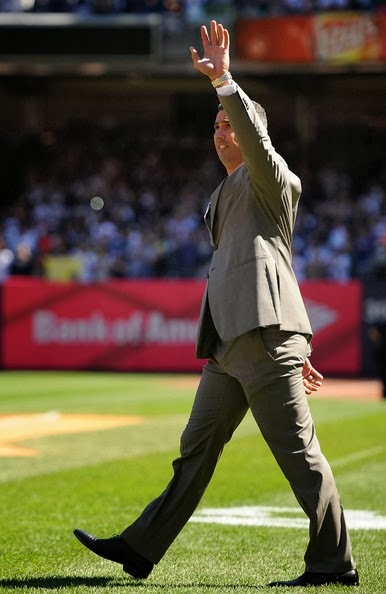 And then Andy Pettitte making his way to the mound, for his last game in pinstripes. Mo, and Andy were huge parts of my childhood. The core four started playing when I was young. I clung to them immediately. 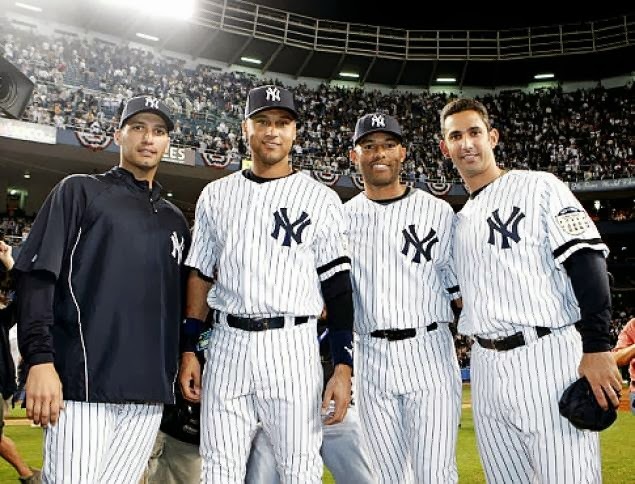 The four of them Mo, Andy, Jorge Posada, and Derek Jeter, helped me grow as a fan. If they triumphed, if they failed, they did so together. They were a team. A brotherhood. I remember watching them all struggle for acceptance. Not just from fans, but from the front office. The Boss, George Steinbrenner, held his reservations on the four of them. Rookies. Still wet behind the ears. Mo couldn't be a starting pitcher, Jeter was a rookie starting at shortstop, Jorge was just a back-up, and Andy who started in our bullpen, was demoted back to the minors. We had our doubts. How can these young kids become Yankees? There was no way. But if it is one thing they all have in common, a single thread that unites them all, is that they play with more heart than I have ever seen. Put simply, they grind it out! Andy is a true warrior. When he decided to come back to the Yankees, we rejoiced. He has a commanding presence about him. He is a leader, which I guess can be said about the Core Four in general. He means business on the mound. 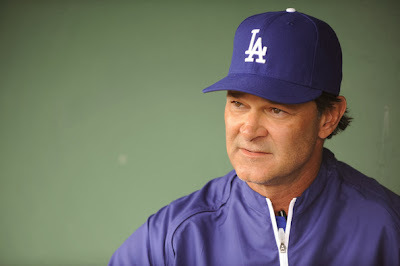 He has led us through some tough times, and still holds the record for most post season wins. And through it all, he has remained absolutely humble. Quiet, poised, and dedicated to this team. Mo is the complete embodiment of a team player. Everything he does is for the team. He is humble. A leader, and a true gentlemen. Mo is the American Dream come to life. The son of a fisherman, who played baseball with milk cartons, and rocks achieving the ultimate success through hard work and dedication. If Mo's story does not inspire you to give 150% into everything you do, you haven't been paying attention. I had a hard time letting go of Jorge. 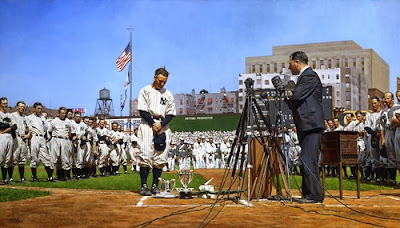 I still am moved to tears when I see him at Yankee stadium, and often find myself asking "What would Jorge do?" Next year, there will just be Jeter out there. No more will he have the support of his brothers on the field. It will be strange, and will fill me with an empty sadness I have not felt about towards the team, since Jorge threw out the first pitch to his father at the 2012 season opener. I couldn't possibly ask for more from Mo, or Andy, or any of the core four. They gave and continue giving everything to this team. They have shown me true hard work, and dedication pays off with success. And I couldn't possibly thank them enough. Not for the championships, but for the life lessons I have learned through watching them. They are my childhood heroes, and will continue to be an inspiration to young aspiring athletes for generations to come.